This cemetery is also known as Riverstown Cemetery. 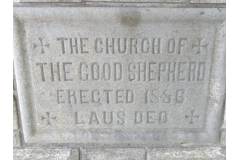 The Church of the Good Shepherd was founded in 1872, the church building at Riverstown was erected in 1886. It was also used by the Farewell community. In 1958, Ernie Robb and Edgar Allen of the Cemetery Board assisted by Mr. Carroll, drew up a plan to move the grave stones and put them on a slab. This plan was approved and paid for by the Ontario Government. Trees were planted in the background by Morrison Allen and others from the Farewell area. The church was deconsecrated due to small attendance in 1964. Stones were collected together and arranged in a cairn. The cairn was erected in memory of the people of the Church of the Good shepherd at the steps where the church stood. 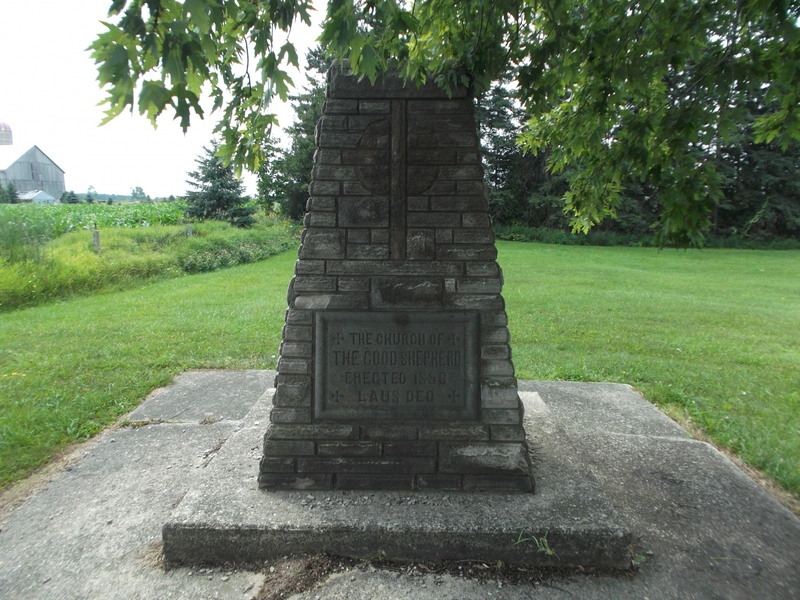 The original corner stone of the church erected in 1886 was placed on the front of the cairn. Some of the older headstones have been laid flat into cement and the writing on them is now almost illegible. The cemetery is maintained by the Department of Highways, under Perpetual Care system. 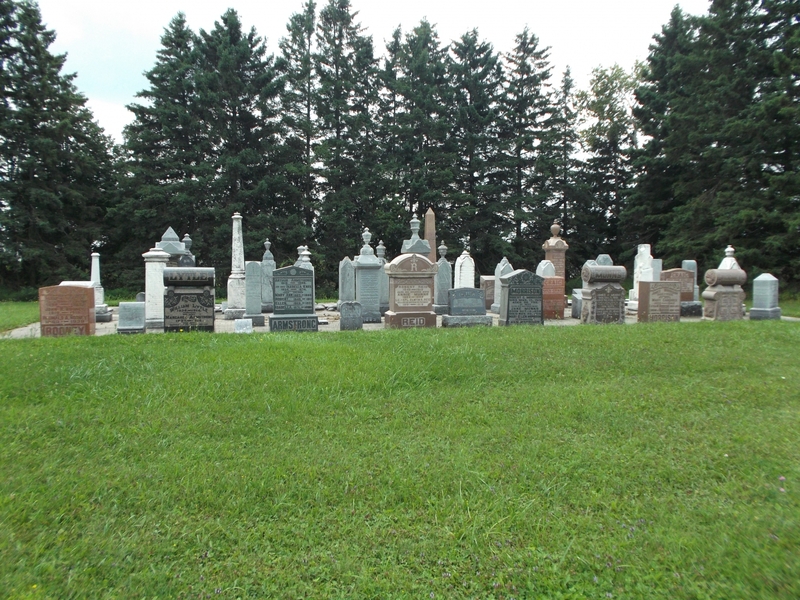 The cemetery is located south of Mount Forest, on the east side of Highway 6 south of Sideroad 5.